City auditor Gary Lewis, left, and council member Justin Harsha are pictured during the Sept. 10 council meeting. From left, pictured are council members Wendy Culbreath, Brandon Leeth and Adam Wilkin. Also pictured is council clerk Heather Collins. Hillsboro city council voted 5-2 to approve a proposed “drug dealer liability ordinance,” drafted to “provide a civil remedy to the citizens of Hillsboro for injury caused by an individual’s use of an illegal controlled substance,” at their Sept. 10 meeting. In addition to the four council members who introduced the legislation – Wendy Culbreath, Claudia Klein, Brandon Leeth and Ann Morris – council member Mary Stanforth also voted in favor of the ordinance. Justin Harsha and Adam Wilkin voted against the legislation. According to the ordinance, “a parent, legal custodian, child, spouse or sibling of the individual user; an individual who was exposed to an illegal controlled substance in utero; an employer of the individual user; a medical facility, insurer, employer, governmental entity or other legal entity that funds a drug treatment program or other employee assistance program … [or] a person injured as a result of the willful, reckless or negligent actions of an individual user” may seek damages. Those “against whom actions may be brought” are any “person who sold, administered or furnished an illegal controlled substance to the individual user” or “a person who knowingly participated in the marketing of an illegal controlled substance” under certain circumstances. The amount of damages an individual “participating in the marketing of illegal controlled substances” would be subject to pay would range from 25 percent for a level one offense to 100 percent for a level four offense. The limitation of cause of actions as set by the ordinance says that “a cause of action expires in one year after a defendant furnishes the illegal controlled substance or a cause of action accrues under this chapter when a person who may recover has reason to know of the harm from the use of an illegal controlled substance.” The limitation of a cause of action against a defendant is “tolled until one year after the individual potential defendant is convicted of a criminal offense involving an illegal controlled substance.” An allowance is also made in case of a continuance for a criminal investigation or prosecution. A motion to suspend the three-reading rule also failed during the August city council meeting. With the absence of reports by Hillsboro mayor Drew Hastings, Hillsboro safety and service director Mel McKenzie and the Hillsboro planning commission, the remainder of the city council meeting was “almost a record for time,” as noted by city council president Lee Koogler. City administrators neither attended nor submitted reports for the meeting Monday. Wilkin, who chairs the street and safety committee, spoke about a joint meeting of his and Harsha’s committees to discuss joining the fire district. “Many people spoke, offering their thoughts and concerns on joining the district,” Wilkin said. “Some of the positives of joining the district include being a voting member of the district, certainty in having continual excellent EMS coverage, no longer having to deal with negotiations on a yearly basis as they would most likely arise, as well as the city having extra money to complete improvements throughout our city. Discussions on joining the Paint Creek Joint EMS/Fire District are ongoing, according to Wilkin. Council voted 7-0 Monday to suspend the three-reading rule and to approve and adopt an ordinance vacating an alley at the firehouse property, following consultation with city law director Fred Beery. After council clerk Heather Collins read the ordinance, Koogler excused himself to speak to Beery. “Typically, alley closures require us to hold a public meeting before we actually close them,” Koogler told council. “There aren’t any existing alleys in this, are there?” Harsha asked. “What’s there now?” Leeth asked. 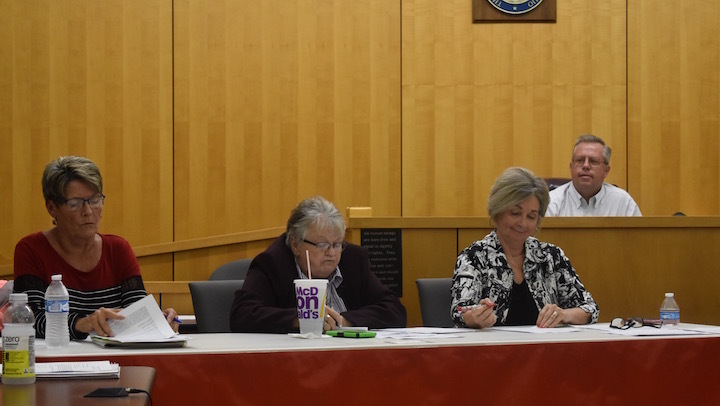 • Council voted 7-0 to approve a resolution accepting the amounts and rates as determined by the Budget Commission and authorizing the necessary tax levies and certifying them to the county auditor. 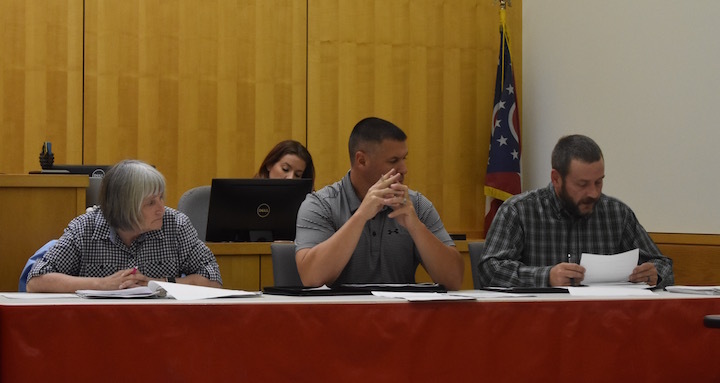 • Council voted 7-0 to suspend the three-reading rule and voted 7-0 to adopt a final resolution for the US Route 50 (Project PID 95563) resurfacing project that outlines an agreement between the City of Hillsboro and Ohio Department of Transportation. • A resolution authorizing the City of Hillsboro to prepare and submit an application to participate in the Ohio Public Works Commission State Capital Improvement and/or local transportation improvement program(s) for North East Street Reconstruction Phase III and to execute contracts as required. • A resolution authorizing the City of Hillsboro to prepare and submit an application to participate in the Ohio Public Works Commission State Capital Improvement program(s) for trunk line improvements from Spiegle to Northview and to execute contacts as required. During the citizens’ comments portion of the meeting, council heard from Virginia Purdy. Purdy attended the meeting on behalf of the Christian Science Society, which meets Sunday mornings at the corner of South West and West Walnut Streets, along with two other churches in town. Purdy said that in the 1980s, when the city placed signs limiting parking to one side of the street, “the membership was told that we would be permitted to park on Sunday mornings during our services.” However, several members of the Christian Science Society in Hillsboro were recently issued parking tickets. “I would like to request that you consider doing whatever’s necessary to permit us to park in front of our church for the hour and a half to two hours that the services are on Sunday morning,” Purdy said. Hillsboro resident Dale Campbell also spoke to council about his concerns with his neighbor having a “junkyard” in his yard. Campbell began by asking about the protocol for starting a junkyard at his own residence. Koogler explained that there were “statutory provisions” within both the Ohio Revised Code and in the city’s zoning code. “In a residential neighborhood, it would not be permitted,” Koogler said. “If I wouldn’t be permitted, then why would [my neighbor] be?” Campbell asked. Koogler said he was not familiar with the property in question, but city auditor Gary Lewis said that the city assisted in clearing the property about a year and a half ago. “They hauled six dump truckloads away from the place, plus two pickup truckloads away,” Campbell told Koogler. Lewis said the neighboring property was also condemned. 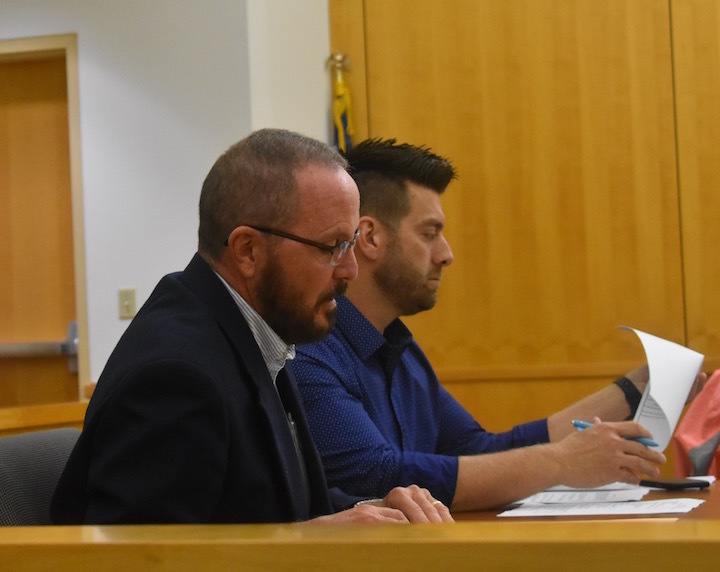 Under new business, Koogler said that council members had intended to enter an executive session to continue discussions on joining the Paint Creek district, but since there is “no administration to report to us,” council instead adjourned for the evening. POTO Pretty much sums it up. Now read Rory's column on increased taxes if Hillsboro joins Paint Creek Fire district. @ Consider. Well put. As I learned in college economics, there is no such thing "As a free lunch" But put the Hillsboro City council at a buffet, it is a death trap to political diabetes and heart disease. No offense to those suffering these ailments.. This comment has been hidden due to low approval. No discussion prior to the vote? It is way past time emergency meant emergency. Legislation shoved down the citizen's throat without their chance to provide input and have their voice heard is becoming common pratice with this bunch. Maybe Klein needs some hard questions directed at her after this statement. "There was no discussion prior to the vote Monday. When the legislation was originally introduced, Klein said that she wanted to suspend the three-reading rule “so it’s in effect before the … supposed opening of the medical marijuana shops.” (As previously reported, the Ohio Board of Pharmacy has approved a license for a medical marijuana dispensary on North High Street in Hillsboro.)" Someone please explain to me what the "supposed" opening of the medical marijuana dispensary has to do with this legislation in the least. Was the the dispensary actually the main intent of this legislation? Is this an ordinance meant to circumvent state law in regards to the dispensary? Is this ordinance meant to facilitate harassment of the dispensary and it's patients/customers? How about some signing statements after passing any legislation, other than we deemed it so. Skull and crossbones indeed. This comment has been hidden due to low approval. I would like to start off by saying I am 100% for a illegal drug free Hillsboro, Ohio, and USA. This “drug dealer liability ordinance" while well intentioned sounds like it would be almost impossible to enforce unless video or multiple eye witness accounts were used for transactions? I am sure that ATM or credit cards are not used for these illegal transactions along with receipts? He said, she said does not stand up in court the last I checked. I would like to hear more on burden of proof and even some other city case studies assuming Hillsboro is not the first to try this? I thought we already had laws on property seizure etc. when drug dealers were arrested? If someone could shed some light on this for me, I would appreciate it. •••••Editor's note: Good luck with that request. I doubt the best Philadelphia lawyer can explain it. This comment has been hidden due to low approval. One would think, that since those drug dealer skull and cross bones warning signs at some city limits, that no legislation would be needed for drug dealers. Guess those signs didn't scare anyone. This comment has been hidden due to low approval. Not sure which is more “effective”: those signs at each entrance to our city or this legislation. This comment has been hidden due to low approval. As is the norm, Hillsboro City Council approved several grant applications with a suspension of the three-reading rule with little to no discussion of the merits of the projects and their costs. Because of the suspension of the three-reading rule, there was no opportunity for a citizen to have known, studied, or spoken about these resolutions prior to their passage. As commendable as Council President Koogler is in most respects, he generally seems to steer the proceedings in this way by opening discussions on grants with a phrase along the lines of "We tend to view grants as free money". There are a few issues that I have with such a mindset. Firstly, it creates an impediment to a councilmember taking issue with the foundational idea of accepting grants out of principle because they would have to cross what the Council President just said in order to do so. I always find it interesting that for a rural city that runs very conservative, like many other small towns Hillsboro has still allowed a bureaucracy to entrench itself in which accepting tax redistribution from the state or federal levels is seen as a harmless given. The money is never really free. The money was earned and taxed away from somebody, at some point. At best, it amounts to a form of rural welfare that, clothed differently, the vast majority of Hillsboro citizens would oppose in all of its other guises. At worst, its the old hag from Hansel and Gretel offering the children candy and warm beds if they'll only come inside. So many sound off the alarm bells of socialism's encroachment at large but ignore it being accepted practice in the bureaucracies of even the smallest American towns. If you can wean small communities off of self-reliance and the pride that accompanies it, you can ensure that the community's next generation will look first to the statehouse or the White House before considering local or more austere solutions to a need or desire. This comment has been hidden due to low approval.